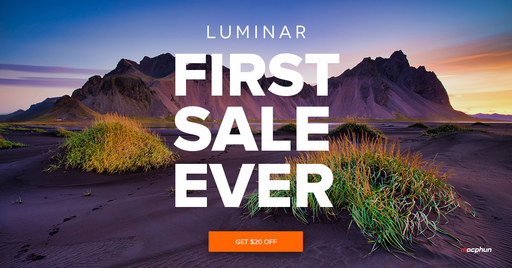 For the next 3 days you can purchase Luminar Neptune for $49. Considering that this app was a steal at $69, this is one terrific offer. Luminar Neptune includes the impressive Accent AI Filter, adaptive workspace, non-destructive RAW workflow, layers, filters, noise reduction, intelligent erase tool, and tons and tons of presets. Luminar is also a plugin for Lightroom and my favorite editing extension for Photos for macOS. All of that is included in this $49 sale that's only available until July 27. I'll be showing you all the cool Luminar pro techniques in my upcoming Nimble Classroom on Luminar on Sept. 23. Interact with me and others from the comfort of your home.